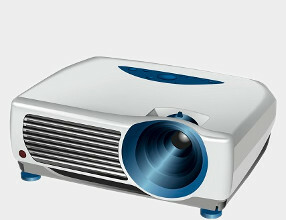 The Projector Shop is a leading online reseller of a range of projectors, screens and presentation equipment. Buy projectors, screens or interactive whiteboards online easily, with secure payment and fast delivery! Choose the product category you want to shop in, for example “Interactive Whiteboards” or “Projectors”. Browse through the various options that appear and select various items to get more information on them. Choose the specification you need and add the desired item to your shopping cart. Once you have everything you need, click the “Checkout” button and your total bill will be calculated, including shipping options. All that is left is to make payment and we will deliver to you. Our online shop accepts payment by CREDIT card or EFT. We use the Payfast payment gateway, with secure and encrypted processing for your peace of mind and security. Payfast is trusted by many of South Africa’s largest retailers, and is used on all of our online sites, as well as other leading online operators such as Take-a-lot. We will deliver to your door business, school, recreation centre, home or wherever you need the delivery. Within Johannesburg, delivery charges are only R50-00 and to other major centres in the country, delivery is charged at R100-00 ex VAT. All transactions are subject to our standard Terms and Conditions which can be found here. We aim to have satisfied customers so if your experience was excellent or you have suggestions how we can improve, please email us at info@projectorshop.co.za.